Are you looking to renovate your kitchen? 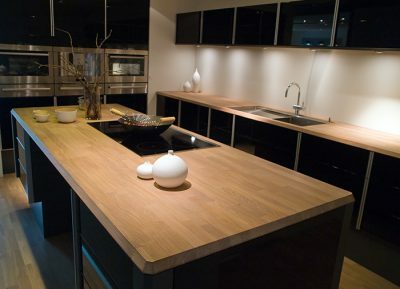 Do you require the assistance of the most exceptional kitchen fitters Bournemouth offers? If so, you need to look no further as Franks Maintenance Group are one of the South West’s leading providers of kitchen installations for home and commercial properties. As a member of the FMB and an NICEIC approved contractor, you can rest assured that we’re a reputable company you can trust. To find out more about how you and your property could benefit from the superior Bournemouth kitchen fitters, be sure to give our distinguished team a call today on 01747 826 656. 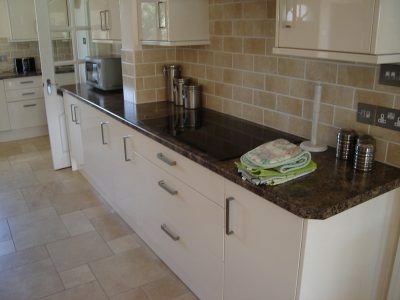 Looking for the finest kitchen fitters in Bournemouth? When searching for the premium kitchen fitters Bournemouth has to offer, we are 100% confident that you’ll be hard pushed to find a better alternative to Franks Maintenance Group. With our wide-ranging trade expertise, second-to-none craftsmanship and plethora of experience that we built up over our many years of loyal service, we are the first-class and obvious choice for kitchen fitters in Bournemouth. If you are unsure that Franks Maintenance Group offers the most outstanding kitchen fitters Bournemouth has ever seen, please continue reading to find out more about our distinguished reputation and services. Are you struggling with a lack of storage space and an abundance of clutter in your kitchen? Whether you are seeking a functional and aesthetically pleasing kitchen for your home or your commercial property, we offer an exquisite kitchen design and installation service that is unbeaten on price and quality. We’re confident that our designs will transform your kitchen space and add significant value to your home or commercial premises. As a company, we work hard to ensure our prices are among the most competitive on the market and we regularly benchmark them against our competitors to assure exceptional value for money. The majority of our work comes from glowing word of mouth recommendations from our existing customers who are happy to applaud our services to their friends, family and colleagues. This demonstrates our unwavering dedication to the satisfaction of our clients, ensuring that our services consistently exceed their wildest expectations at a cost-effective and unmatched price. In fact, be sure to check out our high-definition gallery to see for yourself what all the fuss is about surrounding Franks Maintenance Group. Should you have any questions or queries, please do not be tentative about getting in touch with our professional and courteous team now. We’d be thrilled to share our expertise with you and help to provide you with a kitchen that exceeds your wildest imaginations. What really distinguishes our building and home improvement services against those offered by our competitors is that it’s of paramount importance to us that our facilities are led by the desires of our customers. By choosing our stellar services and second-to-none kitchen fitters in Bournemouth, you’ll receive precisely what you asked for, promptly and efficiently with no hidden costs. In addition to providing specialist kitchen installations for homes and commercial properties throughout the South West, our multi-skilled staff are also proficient at a number of home development services. From exquisite bathrooms to emergency building maintenance and repairs or superior facilities management solutions, our expertise, skill-set and capabilities are wide-ranging. Do you still need convincing that Frank’s Maintenance Group’s kitchen fitters in Bournemouth are second-to-none and a cut above the rest? If so, we encourage you to have a look at what our customers are saying about our kitchen fitters Bournemouth service and us as a company. After all, you don’t just have to take our word for it that our services are unsurpassable. It would be advisable to have a look at some of the recent case studies we have completed for our satisfied customers to gauge the full potential of our Bournemouth kitchen fitters. 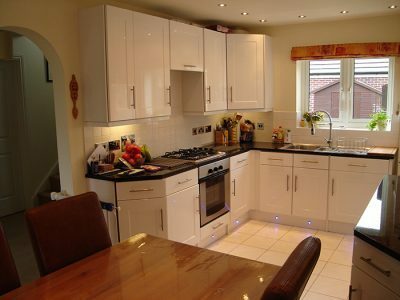 “We are extremely pleased with our new fitted kitchen. The work was carried out to a very high standard. The customer service was over and above our expectations and we would certainly recommend Franks Maintenance Group Ltd to friends and family. The installation was prompt and fitters friendly. We did not have to worry about any of the installations from beginning to the decorating at the end, you organised it all for us. Thank you” –John W.
It’s clear to see that when searching for the most excellent kitchen fitters Bournemouth service, Franks Maintenance Group is incomparable for customer satisfaction, price and quality. So, what are you waiting for? Your dream kitchen is only a phone call away, so do not hesitate to give our stellar team of the best kitchen fitters Bournemouth offers a call now. If you have been looking for the most superior kitchen fitters Bournemouth facility, your search is over now that you’ve found out about the distinguished team from Franks Maintenance Group. For a second-to-none service at an ultra-competitive price, give our team a call today to find out how we can help transform your home or commercial premises. Get your FREE no-obligation quotation today by calling us on 01747 826 656 or alternatively, you can send us your inquiry by emailing us at info@franksgroup.co.uk and we’ll endeavour to get back to you as soon as possible.